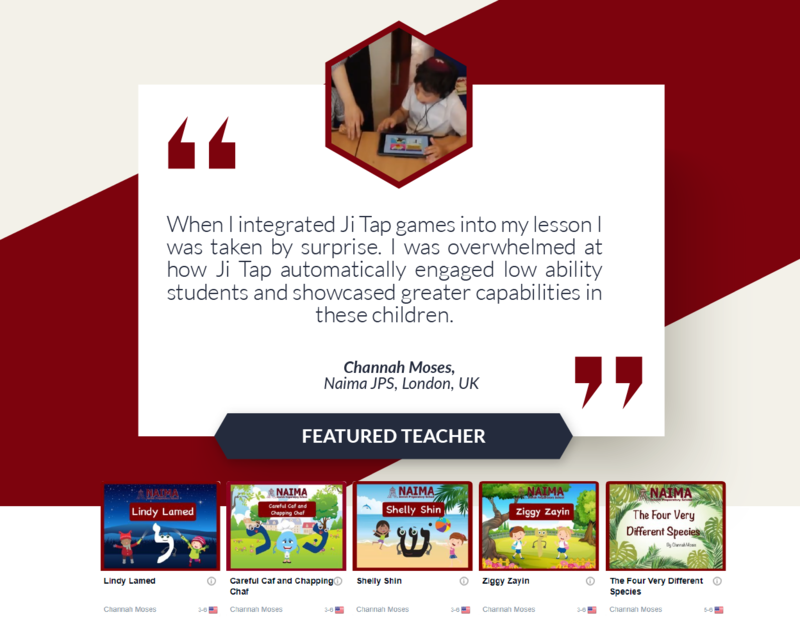 Initially, I was reluctant to implement Ji Tap into my lessons as it frustrated me how both children and adults rely too heavily on the immediate sensory and visual feedback which technology offers. I also valued the experiential teaching methods used in the Early Years and so I devalued the use of iPads. However, when I integrated Ji Tap games into my lesson I was taken by surprise. I was overwhelmed at how Ji Tap automatically engaged low ability students and showcased greater capabilities in these children. The same children who I exerted so much energy into, just to get them to listen, were now focused. When I added Ji Tap Alef Bet games into the curriculum I saw how Ji Tap does not exploit children but strengthens their position to learn. This is because Ji Tap combines numerous learning styles into one immersive interface which attracts and enhances learning for all children. Aside from using other people’s Ji Tap games I used my own tailor-made games within my lessons. Learning how to make Ji Tap games was easy to grasp and the attractive and vibrant graphics made making them so enjoyable. Understanding all the functions of Ji Tap took me time, but the more functions I learnt the more endless possibilities and opportunities there were for learning. Ji Tap can be seen by some as an inside-out approach to teaching. Where instead of teaching in the classroom and relaxing at home, you teach at home and relax in the classroom. However, this was not the case. I found that my involvement and direction within the classroom and the context in which these games were incorporated was key to the children’s learning optimisation. Ji Tap does not replace the teacher or depersonalise teaching rather it repositions the teacher within the classroom. The more my creativity and personality shone through in my games the more the children enjoyed them. In a regular classroom setting my attention is divided amongst my students. However, when students have their own iPad each child has 100% of my 'virtual' attention. Preparing Ji Tap games beforehand meant that I would not need to divide myself equally amongst my students but give my all to each one. Children can no longer relate to a teacher imparting information on a blackboard alone. They can’t absorb knowledge taught like this. Ironically, I found that when a blackboard is uploaded into a Ji Tap game that same blackboard now captured children’s imaginations. I then realised that Ji Tap does not try to reinvent the wheel it just changes the platform on which Jewish knowledge is presented. This platform should not be undermined. In the 21st century, everything is about the packaging and it is no different in education. For this reason, gamification is used throughout marketing. 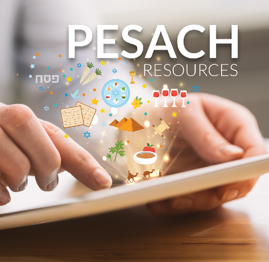 If marketing psychologists know the secrets of gamification in technology than Jewish educators should be privy to this application as well. Graphics, animations and video clips in isolation can be a waste of time but Ji Tap combines technology with Jewish education to produce an educative package which I have found to be unparalleled.